A recent market study conducted by the American Architectural Manufacturers Association (AAMA) revealed that the demand for replacement windows continues to bloom this year. This is because more and more homeowners are aware of the latest technologies in window engineering that make new units more reliable and energy-efficient. 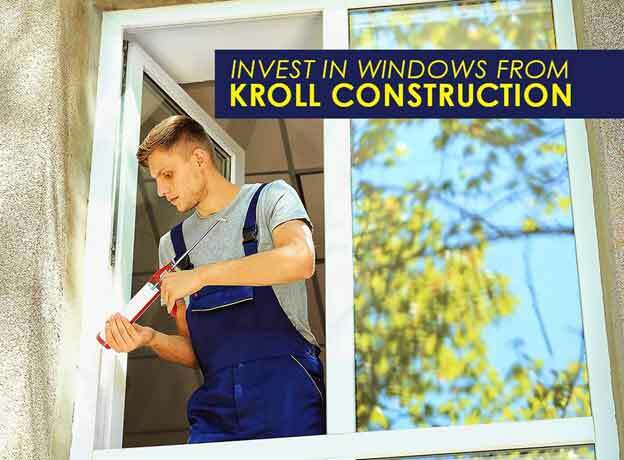 Let Kroll Construction discuss why wood window replacement in Detroit, MI, is an ideal investment for your home. 1. Thermal Glass – Double and triple-pane low-e glass are the most sought-after types today because they promote the highest energy savings. We feature these in our windows along with an inert gas that reduces heat flow and energy leakage. 2. Energy Efficiency – Our windows are designed for maximum energy performance. They feature components and seals that work together to maintain your home’s ideal temperature without exhausting your air conditioning system. 3. Upkeep – You’ll never have to worry about repainting and scraping our Detroit, MI, wood window replacement units, as they can resist the toughest elements. For cleaning both inside and out, simply use their convenient tilt-in feature. 4. Frame – Durability and insulating properties are the key to a window’s overall performance. That’s why we use an insulated frame and sash assembly that offers superior strength and weather resistance. They can help increase your home’s comfort levels, while remaining weather tight. 5. Design – Enjoy scenic views with our windows’ expansive glass area. They also come in a range of stunning colors and finishes to improve not only your curb appeal, but also your interior. 6. Screens – For your maximum comfort, we equip all of our windows with custom fit screens. This way, you can allow fresh air to enter your home without worrying about insects or airborne debris. With the many benefits that come with a window upgrade, it’s no surprise that this trend continues to grow. Wood window replacement in Detroit, Michigan, is a great investment that pays in energy savings and increases your home’s comfort and value. Call us today at (888) 338-6340 to learn about your high-quality window options.